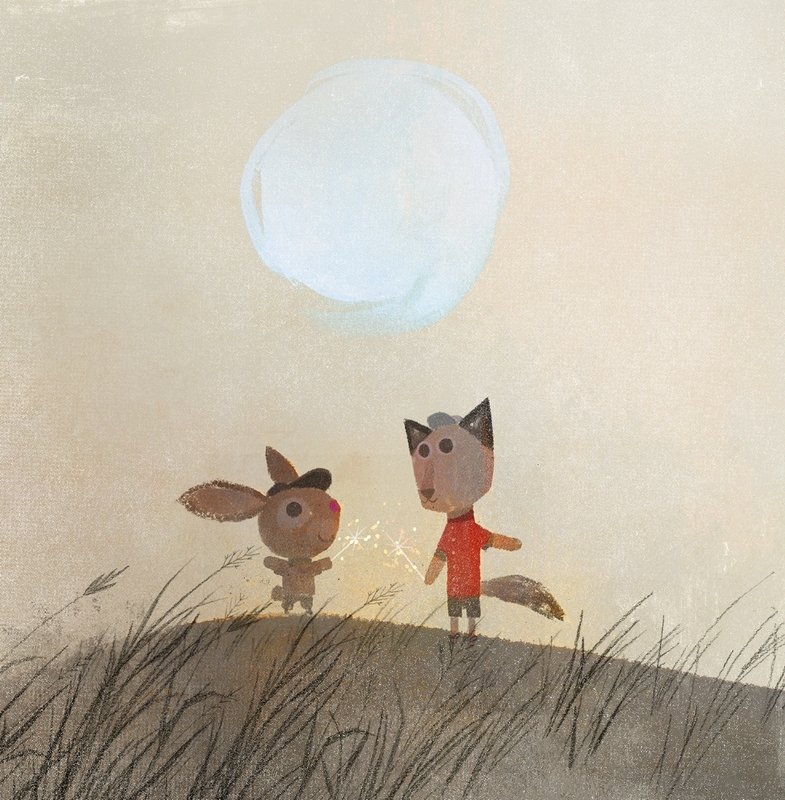 We interviewed Kenard Pak, award-winning children’s picture book illustrator and author. Pak is known for the expressive and dreamlike quality of his watercolors that often feature the wonders of the natural world. 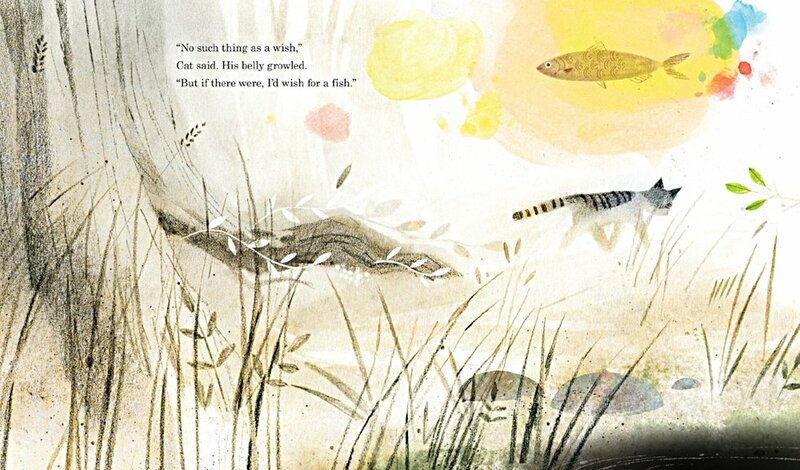 His most recent picture book is Cat Wishes by Calista Brill. 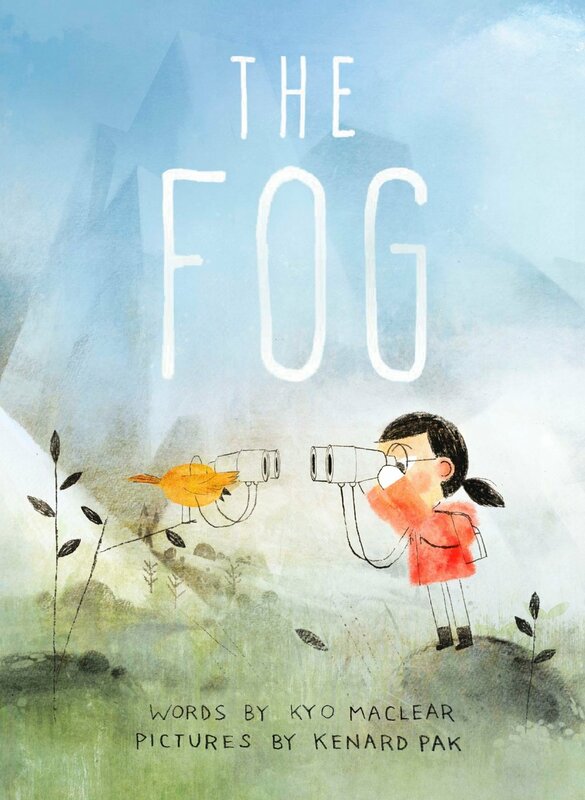 The Fog, by Kyo Maclear, was listed among Kirkus Reviews Best Picture Books of 2017. 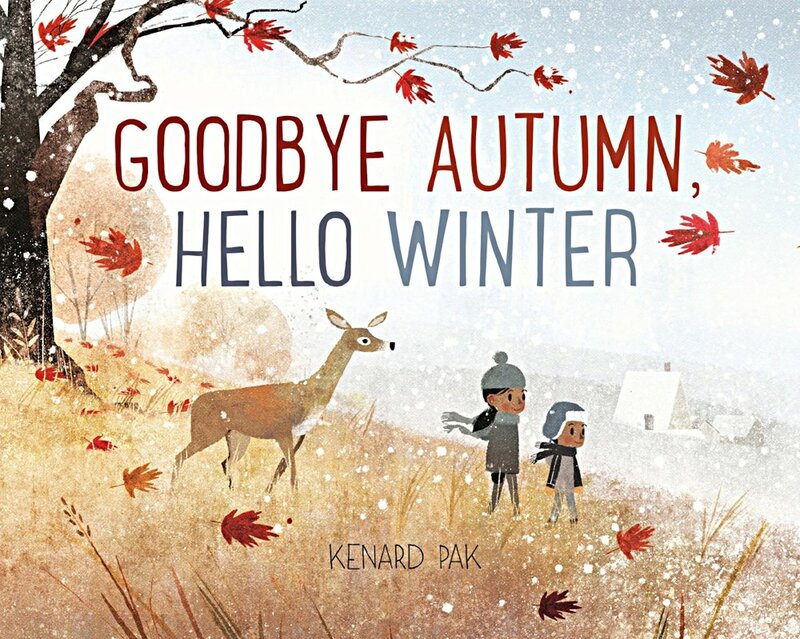 He is also working, as both author and illustrator, on the third in a series of books about the seasons: the first two are Goodbye Summer, Hello Autumn and Goodbye Autumn, Hello Winter, which won the 2018 SCBWI Golden Kite Award for Illustration. Pak lives and works in San Francisco. In Cat Wishes the illustrations of Cat are so expressive. Were your cats cooperative models for your illustrations? The cat’s expressions in Cat Wishes are based on my cat Charlie Parker! She had a sly, calm, cautious attitude, and, like all cats, she loved to curl up and sleep in a tight bun. I’m not sure if she was that cooperative because she was asleep most of the time (and you left her alone or else). Do you approach illustrating your own manuscripts any differently than when you’re illustrating another author’s text? The difference is in whether things happen at the same time or not. When I write, the images emerge along with the text. When I get another author’s text, there’s a kind of puzzle making. I first try different styles, colors, and themes. At some point the art settles and begins to grow, and I then go with it. How do you work out the rhythm of your illustrations in a book? In storyboard form first or sequential thumbnails or something else? Every book is different. I’ve learned that my work process sways to what is happening in my life at the time. In general, I have little control over how a book pans out. My schedule can determine the process, and I always joke that I never really finish as much as I simply stop working. I have started with storyboards, and other times I dove right into final art. If time permits, there is a lot of wandering and nonsequential rearranging. What happens at the beginning has very little to do with what I get at the end. Nature plays a center stage position in much of your work. Where does that emphasis come from? My relationship with nature is nostalgic. I treasure my memories of growing up in the hilly forest suburbs of Howard County, Maryland. When my family finally managed to move out of Baltimore, the suburbs were such a dream come true. My parents still had to work at their shop downtown, but on the weekends we’d all go for nice walks around the meadows, lakes, and streams found in Howard County. My mother especially loved her long walks through the forests and hills. The seasonal series, like what you see in Goodbye Summer, Hello Autumn is very much an homage to my mother’s love for the seasons. Otherwise, these days I’m quite urban. Do you keep an on-going sketchbook for ideas? Yes. When I’m not too busy, I try and draw in them as much as possible. I experiment and just have fun. These days I’m trying to paint and draw more from real life. Your comment about your workspace that you shared on Twitter was intriguing: “There’s also weariness and a quiet faith that things will get done.” We would love to hear more about your feelings about your space and the work you create there. My workspace is very modest. It’s a back corner next to a window. Here I work long hours, morning to night, with the many random thoughts and anxieties that goes through any artist’s mind. What I have learned is that whatever situation I’m in, I have this physical remainder, my workspace and all the stuff in it, to remind me of the nice things I may have done. There are old brushes and pencil nubs, bits of paper and dried paint, the worn corners of my drawing desk, and the scratches on a monitor. They are all there to tell me that I’m doing alright. We maintain that picture books can speak to audiences of potentially any age. Your thoughts on that? Most of us remember reading picture books as children. We carry these memories with us throughout our lives. I’m not sure why. Maybe this early exposure to words and pictures is like a permanent mental imprint. It’s very common for people at every adult age to remember that one book or picture. It’s always there for them, tucked away. 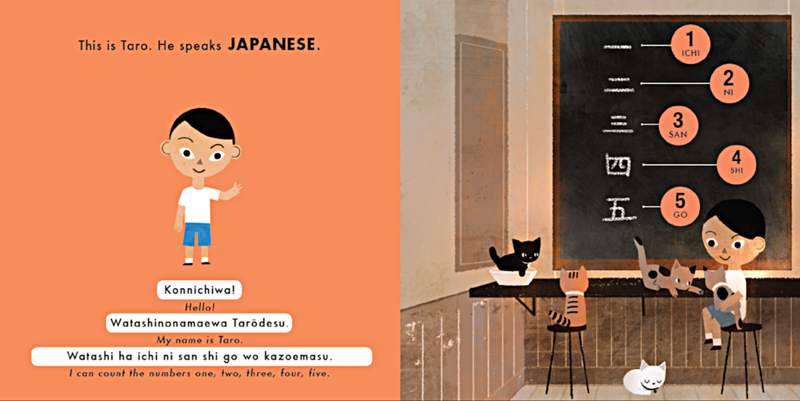 I think it’s because of this kind of relay with the past that picture books can speak to anyone at any age. I mean, we read and even forget good literary books all the time, but we remember Go, Dog. Go! or Harold and the Purple Crayon. You’ve mentioned that Richard Scarry is a favorite illustrator. Is there one illustration you can point to that you particularly love? There are so many! One that comes to mind is the cat walking with a fishing rod. There’s a seagull flying next to him. The cat is wearing a yellow hat and a red shirt, and he’s like, “I’m gonna go fish now!”. I really like this one. What’s your best piece of advice for an aspiring illustrator? Somehow find confidence in what you do. Maybe it’s a matter of committing to that one thing that comes naturally to you, or maybe it’s a matter of just letting everything go and doing whatever you aim for. The best artists I know are those who genuinely know what they like (whether they’re conscious of it or not). As a child, did you want to be an artist? Did you grow up seeing that as a possible career? As a kid I wanted to be an architect. I always knew that I wanted to do something creative, whether it was drawing cars, fashion, or comics. In high school I loved Disney movies, and in college I was fascinated by contemporary gallery artists like Laura Owens. Working in animation and illustration was a goal, but to have a decent career…! I’m not sure if I thought that this was possible, but it’s certainly something I’m very grateful for now. Did you have a teacher(s) from elementary, middle or high school who encouraged you? I think of two teachers. My first grade teacher Mrs. Bjorndoll used to sit with me and draw trees and presidents. My high school teacher Mrs. Gaither was wonderful. She encouraged me to experiment. I remember being arrogant enough to dare abstract painting, and Mrs. Gaither was all for it. You started out in animation. Do you approach illustration for print media and picture books differently? When I used to work for the big animation companies, I got pretty good at drawing and painting what was needed for a feature length animated movie. We all were pretty good, and it was a lot of hard work. At some point I started to draw and paint for myself. I found my love for soft atmosphere, physical material like paint and paper, implied light, subtle texture --- all things that I was not seeing at the time in feature animation. From them on I had two lives. One for the companies where I was making these immaculate, carefully designed paintings and another for myself where I painted these fuzzy, flat, washy images. I’m very lucky to have these two different paths, but, to be honest, I think I was always better at the washy paintings. Are there any upcoming projects you can share? 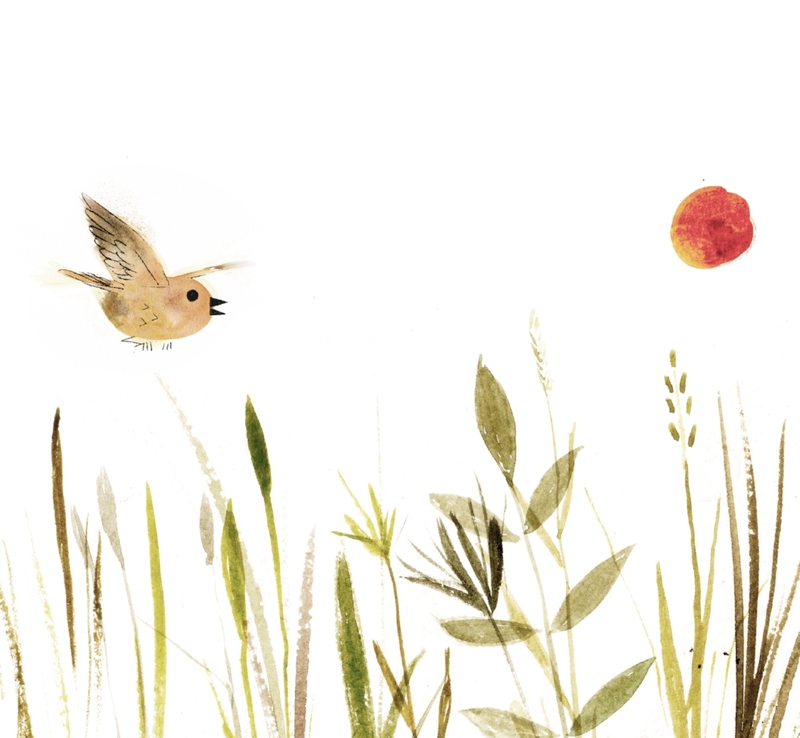 I’m finishing art for two really nice books! One is called I Wonder. It’s a really fun take on questions children ask about everyday things. Does the sun go up like a kite? What if the ocean was in a bottle? The other book is a story about an old barn and the many people who helped build it. There’s a lot of pastoral imagery, so I referenced lots of magic hour photos. There’s also the next book in my seasonal series, Goodbye Winter, Hello Spring. Compared to the first two, the third one has a darker tone. My wife and I are also working on a new book! Like our first book together, The Dinner That Cooked Itself, it’s about food, only this time it’s about markets in Taipei. I’m very thoughtful of Asian American culture these days, and I’m very much looking forward to working on this one. We look forward to seeing your latest work. Thank you for sharing your art and your thoughts. 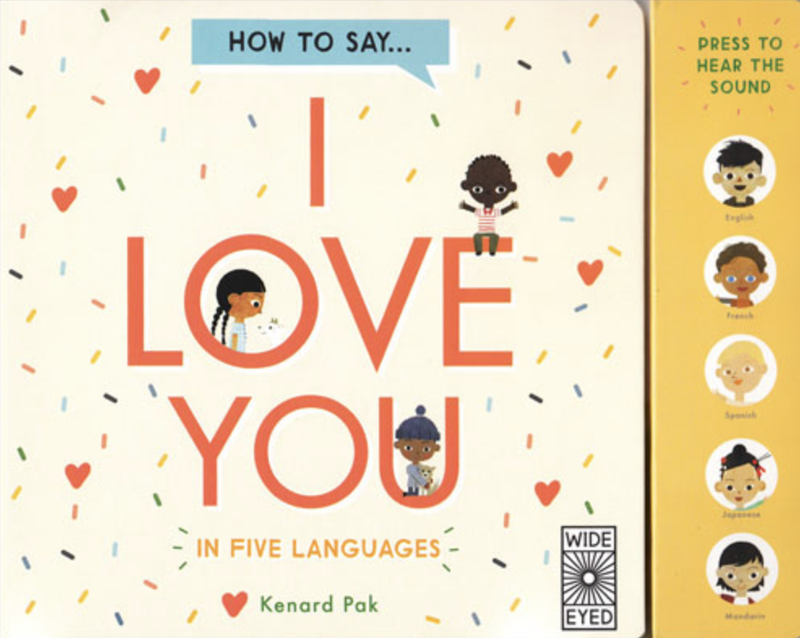 All images used with permission from Kenard Pak and Macmillan Children’s Publishing Group, Penguin Random House Canada, Young Readers, The Quarto Group and HMH Books for Young Readers.